Congratulations! I've had elk a time or two and it was delicious! Thanks Gorges. We've had one meal from it and it was pretty good. I've never had elk. What does it taste like, Lady Locust? Is there something else with somewhat similar taste? It's the closest game meat to beef so as far as what sorts of meals, it's about the same. It does however have a more "wholesome" flavor like comparing white bread to wheat or white sugar to raw - if that makes sense. A huge congratulations! 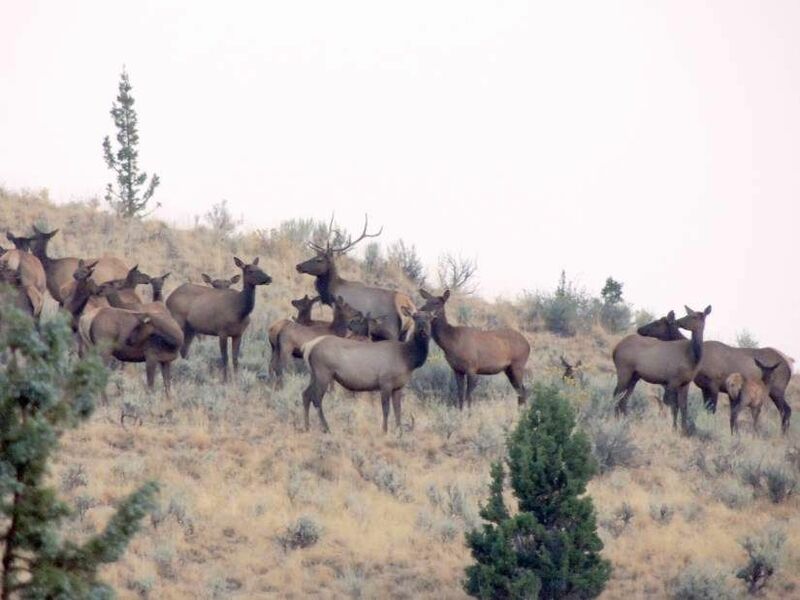 I love elk hunting. We love venison. I will admit that my husband got a moose once that was terrible and I had to jerk the whole dang thing. I have no idea what that thing was eating. My family got jerky every Christmas for four years. Other than that we enjoy roasts, steaks, and stew meat no matter if it is antelope, bear, deer, or elk.